A combi boiler system does not require attic tanks or hot water cylinders. It produces central heating and hot water within the boiler unit itself. 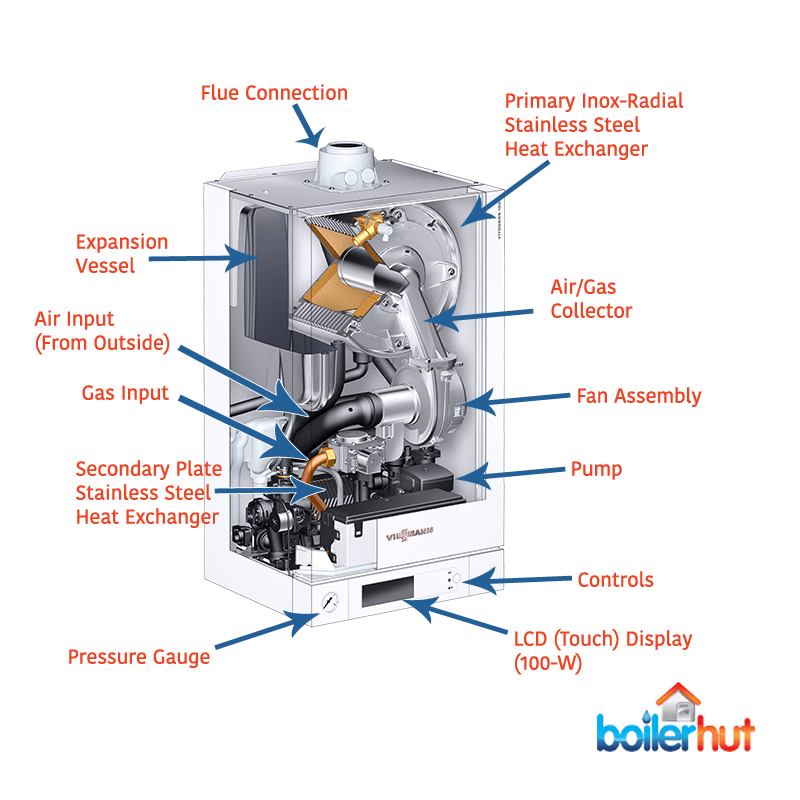 What do we mean by a Combi Boiler System? Not to be confused with a Sealed System boiler, we believe why some people call it a “combi boiler system” is simply to illustrate that a combi boiler does a lot within the same compact unit. This is one of the questions we get asked by some confused customers. Any modern combi boiler system manufactured today or in the last 10 years are condensing combi boilers. Condensing technology is simply a way to extract more heat from exhaust gases that used to be wasted in older non-condensing boilers. Combi is short for combination. 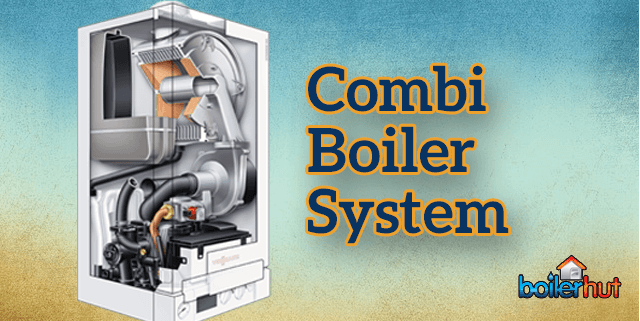 A combi boiler system combines central heating and hot water within the same compact unit. The radiators in your house get warmed up by the hot water coming from the boiler, heated by the primary heat exchanger inside a combi boiler system. Once this hot water has warmed up the radiators, it travels and recycles back into the boiler. And the boiler keeps firing to reheat that water and keeps it at around 60 degrees celsius. This water gets dirty because it picks up dirt, debris and sludge from the radiators and pipes. The water that travels through the radiators and recycles back to the combi boiler is dirty, disgusting, so obviously unusable. 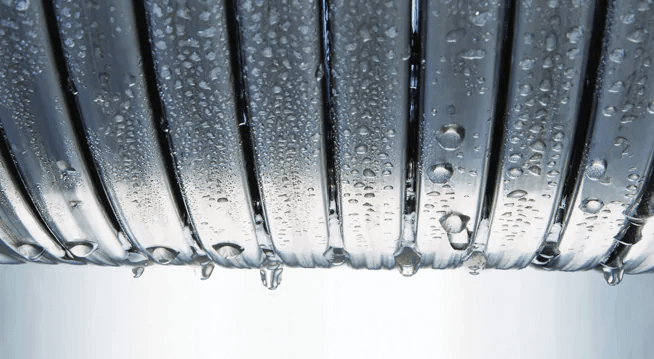 To give you clean hot water every time you turn on a hot water tap in your house, the combi boiler system A) Pauses central heating, then B) Opens a diverter valve which lets the recycled dirty water enter the secondary plate heat exchanger. This hot dirty water heats sealed pipes which carry clean water that’s then delivered to your hot water taps or shower. This is why you hear the combi boiler clicking when you open the taps. It’s the diverter valve. The primary heat exchanger in a boiler is like an engine in a car. The efficiency and longevity of your central heating depends on the quality of its internal components. Your combi boiler system blasts its primary heat exchanger with flames at around 700 to 900 degrees to provide central heating to the whole house. 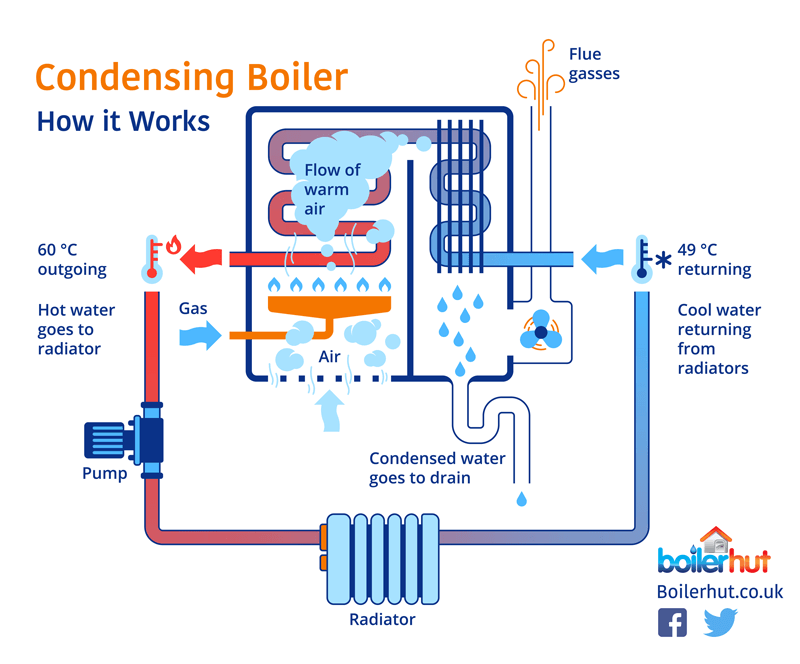 While your radiators get gradually warm over time, inside the boiler it’s like a furnace, i.e. constant, extreme thermal stress on the heat exchanger on a daily basis, and almost 24/7 during winters. Which is why it’s absolutely crucial that the primary heat exchanger is made of a reliable, durable metal of the highest quality, or else it will corrode and lose its efficiency over time. A stainless steel and chromium alloy is extremely resistant to corrosion, which makes it the best possible metal for a heat exchanger. 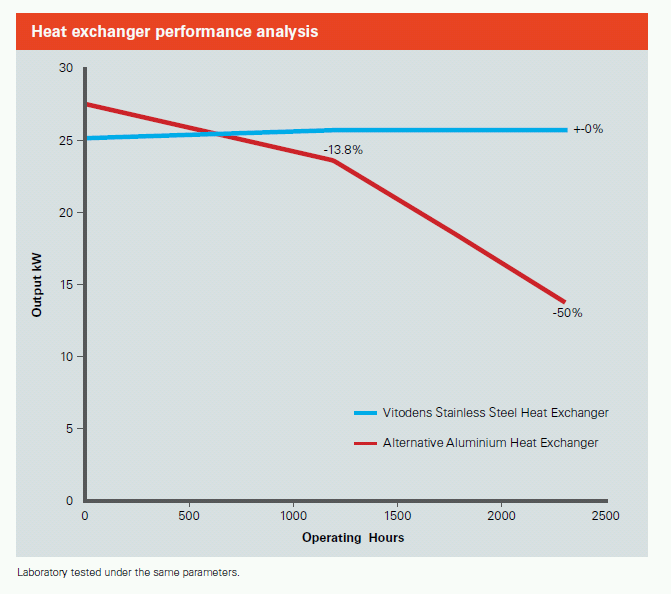 A lot of boiler manufacturers, including market leaders Worcester Bosch use aluminum for their heat exchangers. While aluminium has higher thermal conductivity initially, and is lower in weight, it’s nowhere near as resistant as stainless steel. Furthermore, if special manufacturer-recommended heat transfer fluids and inhibitors are not used to produce and maintain a narrow pH range, it corrodes at a rapid rate and gets damaged. If you damage your heat exchanger, you will void your warranty, because the manufacturer will cite improper use of fluids. A replacement heat exchanger costs around £400-£500. Furthermore, an aluminium heat exchanger may be porous, which has often resulted in many clients complaining about aluminium heat exchangers getting blocked due to sludge, debris and durt. Stainless steel doesn’t have those problems. Aluminium and stainless steel may start at similar efficiency and output, but over years of daily use stainless steel wins hands down. Aluminium simply doesn’t stand a chance, no matter how amazing the combi boiler brand’s reputation is. If you can get a combi boiler system with a stainless steel heat exchanger in the same price range as one with an aluminium heat exchanger, why would you go against common sense? Is it Easy to Detect Heat Exchanger Corrosion? 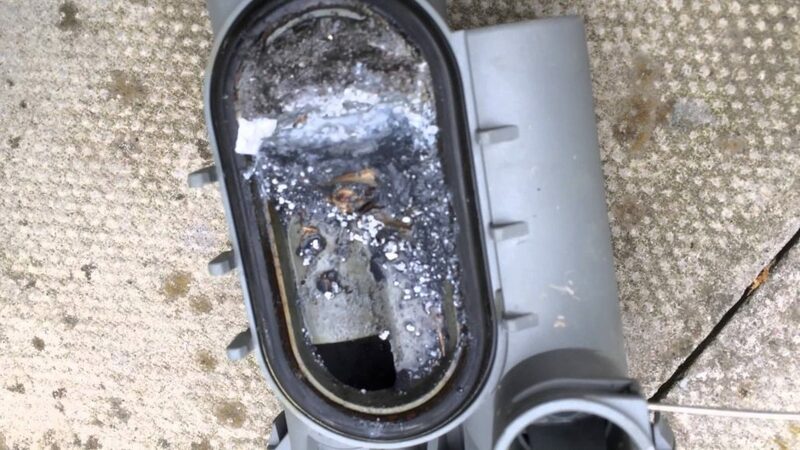 You have no way of knowing if your aluminium heat exchanger has corroded, unless you can open the boiler casing, which we don’t recommend at all, unless you are a Gas Safe registered heating engineer. You will get no warnings for corrosion on a heat exchanger. It won’t make a different noise. Your combi boiler system will still provide central heating and hot water. But there will be a subtle, almost indistinguishable rise in your energy bills, because the boiler’s energy efficiency has gone down due to corrosion. Now, you may say who cares about paying a few extra pence every month, week, or day? But just like the effects of good or bad habits, small things compounds over time to become big things. Stainless steel has proven to last longer and retain its efficiency, which means you won’t be hemorrhaging money because of low efficiency. A new combi boiler system starts at around 89% efficiency, and gets up to 92% with smart controls and weather compensation. With the exception of premium boilers like Viessmann Vitodens 200-W, which works at an amazing 98% efficiency. 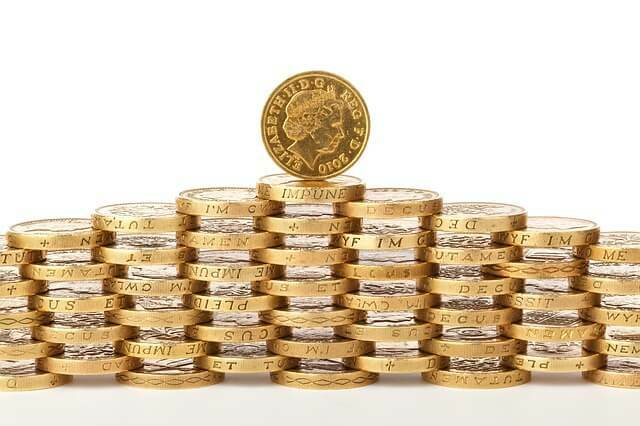 In monetary terms, 92% energy efficiency means for every £100 you spend on your energy bills, you lose about £8. 98% efficiency means, you lose about £2 for every £100 spent on energy. So, if your boiler drops down to 80% energy efficiency due to corrosion, you’re now losing £20 for every £100 you spend on energy. Imagine each coin in the photo below represents that £20 you’re losing on your energy bills. How much does that compound to over years? Which is why investing in high efficiency, high quality boilers to begin with, saves you and your family a tonne of your hard earned cash over many years to come. A premium combi boiler system like the Viessmann Vitodens 200-W may cost you more initially, but not only will it pay for itself in just a few years, it will keep saving energy and your money because of almost 100% energy efficiency with the help of smart thermostats, advanced heating curves and weather compensation.